Have you ever dreamed of a career change? To travel the world? To go on an adventure? Have you ever taken that risk? Well, we have! And we are about to do it for the second time! Dreaming, planning and risking is exactly what we do! Sea kayaking, climbing, trekking, rafting, mountain biking and backpacking are just some of the travel explorations, adventures and challenges we have been on. We have quit jobs, lived in more properties than most and worked in a wide array of jobs! 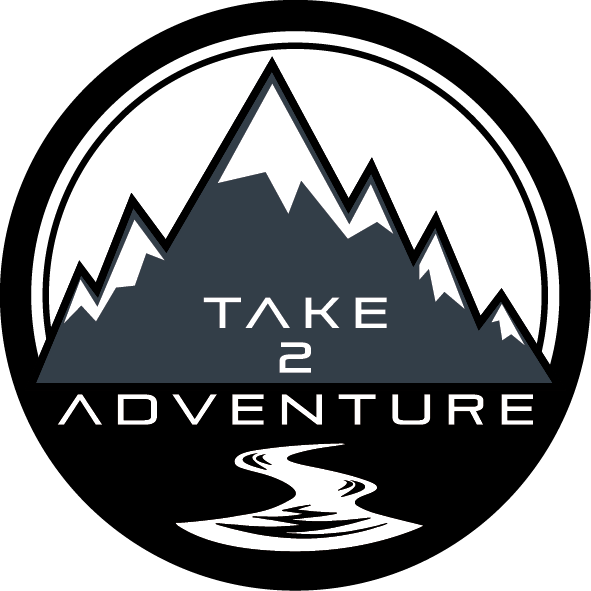 All this, because we Take2Adventure! We seek the extra-ordinary, we live while we are able, we sacrifice, risk and push ourselves out of our comfort zones so that we have incredible memories, stories and pictures to share. Money will not fill the soul, adventure will! Our blog purpose is to show you how we live our life, how we tackle the change and how we live a life full of adventure. For us, our aim is to inspire, to motivate and to be the catalyst that invokes change, by following us we hope you to are able to fulfil your dream too. This is the second time we have quit our jobs and packed up all our belongings. After returning from our big New Zealand and Asian adventure we did what everybody else was doing; getting jobs, buying a house and settling down. However, deep down we were not content with being weekend warriors. It was 14 months before we had the courage once again to change our path. We had tried for a second time to live by “societal norms” and for a second time realised this wasn’t for us. People to this day keep telling us, “you need to settle down”,”when will you settle down?” but as far as I can see they are judging this through property, bank balances, job titles, cars, material possessions and marriage. Is this what society dictates as settled? If so, we’ll pass! All I can say is this. We are settled. Home is where you are happy. Our happy is discovering new places, people and culture. Exploring nature. Climbing mountains. Testing our limits. Being together away from the stress of being stuck in the rat race. We know what we want to achieve with our lives and we are not afraid to make it happen. In the end, we would only regret the chances we did not take. So, how are we making our dream come true? Our passions lie in adventure and the great outdoors, so it only makes sense that we spend more time doing that. Travel without working, we believe, can become limited. Therefore, after plenty of deliberating we decided that training as Outdoor Adventure Instructors would allow us to fulfil all the above and let us live our dream in a sustainable way. Our possibilities will be endless and there are different paths we can take once we are qualified, but they all lead to our end goal. To travel and work throughout the world, to experience life in different cultures, to share our adventures and inspire others to find their own. I can’t disagree with anything in the blog…….it is most certainly inspirational.”Money won’t fill the soul, adventure will”….love that.Have a great time doing whatever you want to do! Thanks Rich really appreciate the support ☺ congratulations on smashing Hadrian’s wall! Thanks jax. Hopefully one day our adventures will also take us to the Rockies! You two are awesome!!! Have a wonderful adventure and smash it!!! Definitely the right call to follow your dreams and not succumb yourselves to societies modality. I wish you all the best in the future and we will meet again. Stu keep being so laid back and continuing on winning in life.